Our OctoDome nxt is designed to be used with the StarLite continuous light source. Accepts tungsten or compact flourescent lamps. 1000watt maximum. 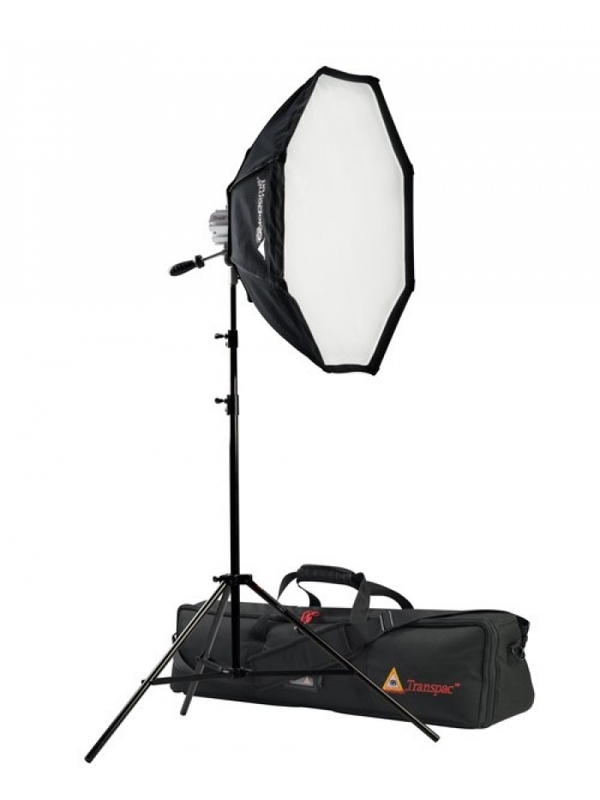 Videographers and still photographers will appreciate this versatile and dependable lighting tool for a variety of studio and location assignments. Built-in swivel with handle makes it easy to quickly adjust light. TransPac GigBag facilitates easy packing and transport. - Low profile saves studio space.